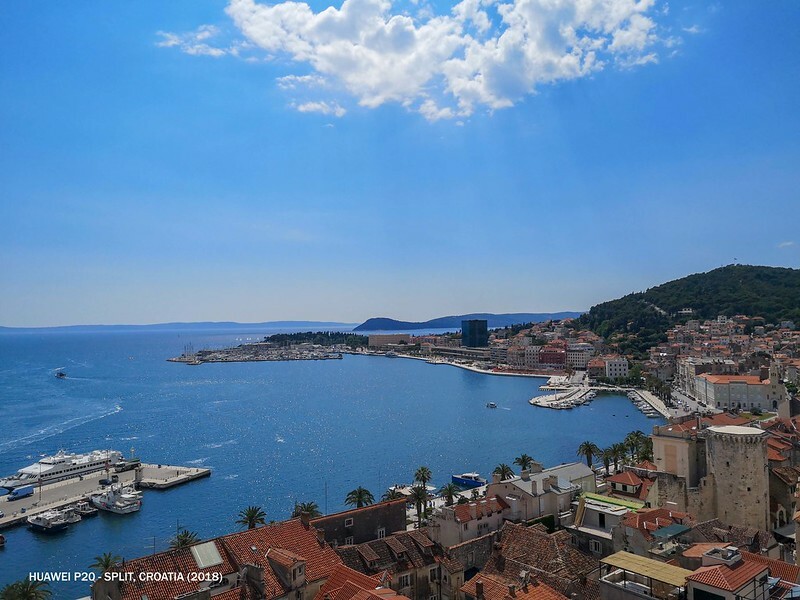 From the intact walled city of Dubrovnik, we travelled to Split - the second largest city of Croatia. 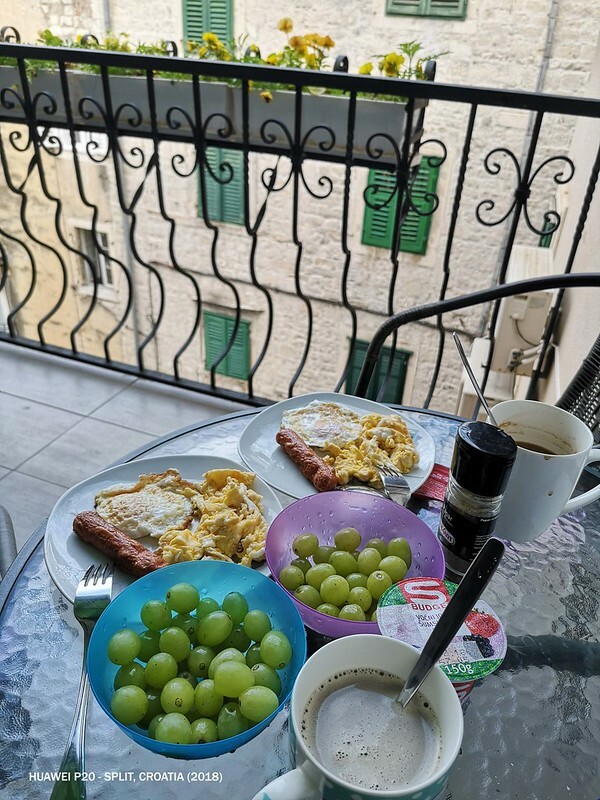 The journey from Dubrovnik to Split takes approximately 4 hour and 30 minutes via bus, therefore we pre-book the morning bus so we able to reach Split by afternoon in order to have more time to explore the town. Do take note as the bus route passing through Neum Corridor which is Bosnia-Herzegovina territory, make sure to have your passport ready. 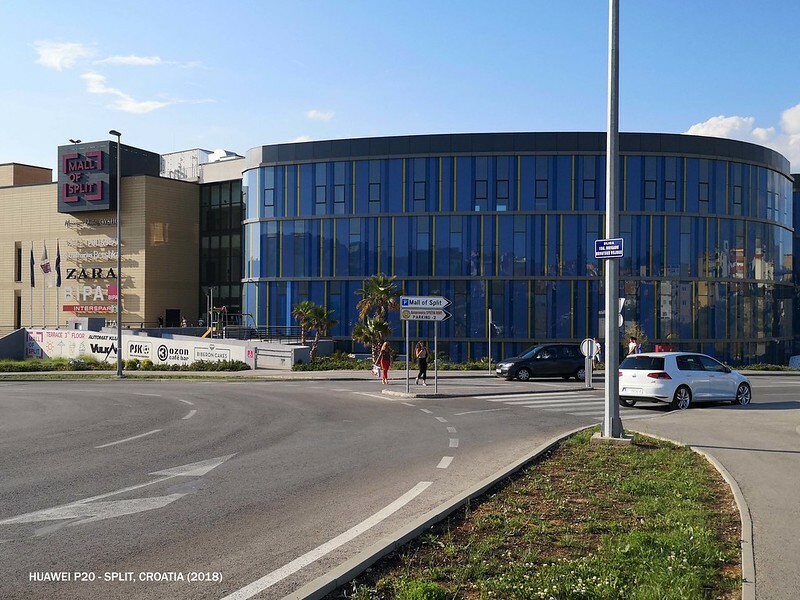 Unlike Dubrovnik whereby its bus terminal is located out of the town, the main bus terminal of Split is just situated within the town center. From here, it takes only less than 10 minutes walk to our hostel. 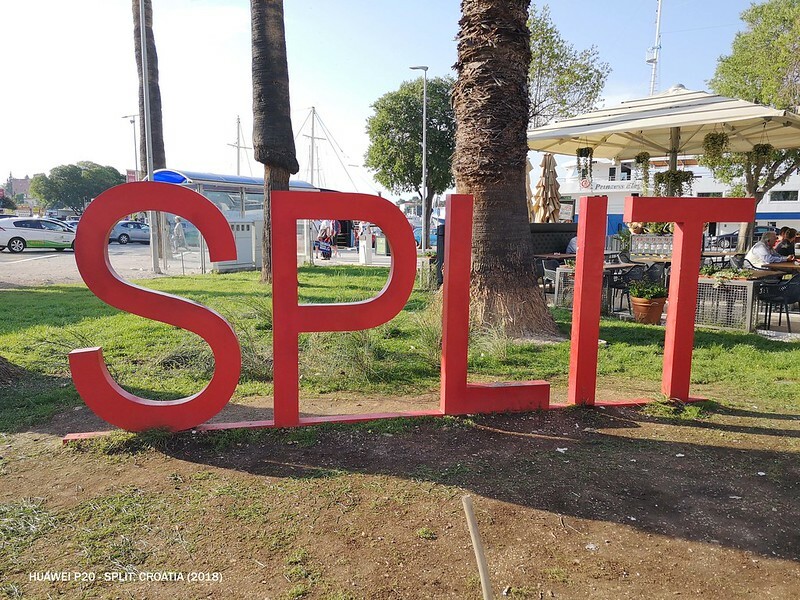 Besides the bus terminal, we even spotted the ferry port and train station are just around the corner making the changing or connecting with other means of transport is so convenient in Split. However if you are wondering why don't we travel from Dubrovnik to Split with train is because there is no train between these routes available so far. 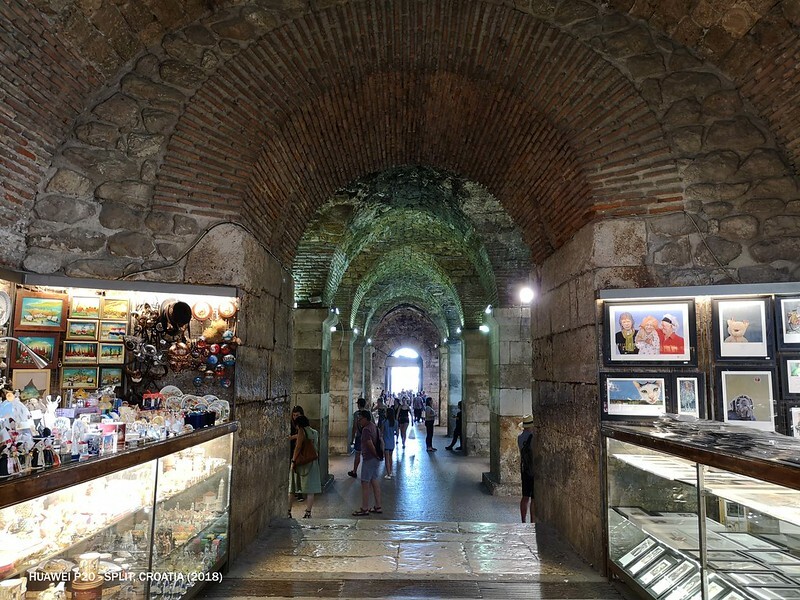 1) Diocletian's Palace - Facing the harbour, this ancient palace is one of the most remarkable and most valuable surviving monuments of the Roman era on the Adriatic coast. 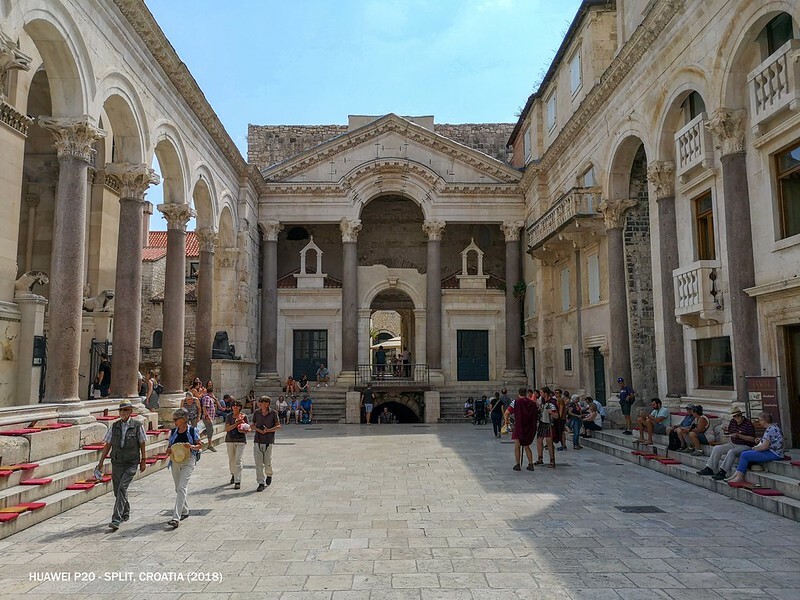 Listed as part of UNESCO World Heritage Site, Diocletian's Palace is undeniably the main attraction of the city of Split. 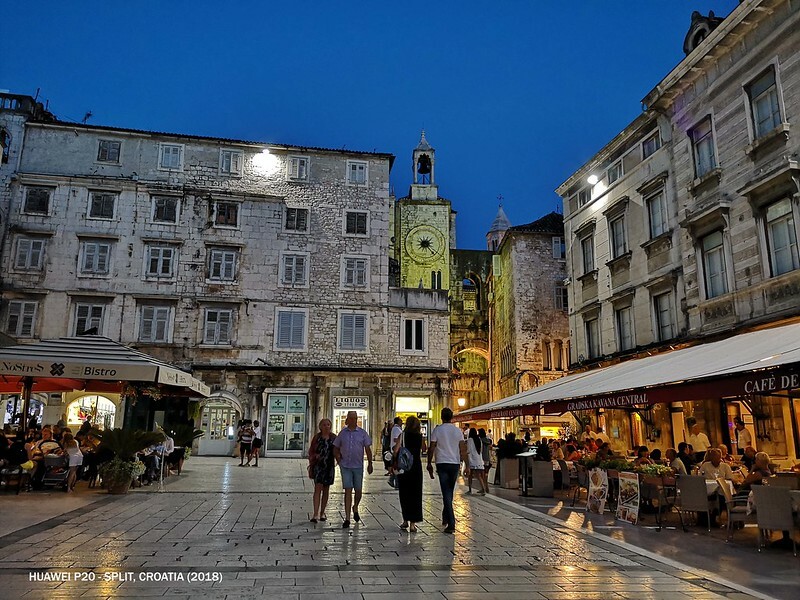 Today, these ruins has turns the old town of Split with countless of cafes, restaurants, shops and apartments tucked in the old buildings on the narrow streets of the palace. If you are big fan of Games of Thrones, then you shouldn't miss this place as it was one of the shooting location. 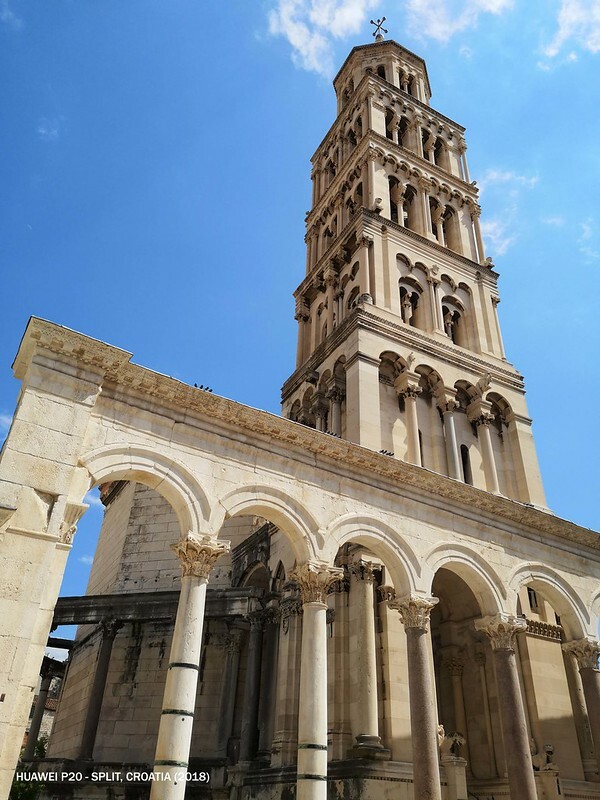 2) Cathedral of St Domnius - Located inside Diocletian's Palace, this cathedral is also another most visited and most famous attraction in Split. 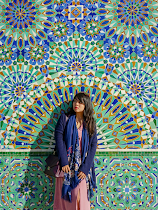 But my friend and I were more interested with the Bell Tower where we can climb all the way up to the top for the awe-inspiring panoramic view of the whole town and the islands nearby it. But if you are afraid of heights, you better don't go up the bell tower cause it's 57 meters high and the only way to go up is by climbing the stairs. That's all, to be frank. Someone actually asked me whether is Split worth to visit or not but this question is kinda subjective as everyone has his/her own preferences and interests. 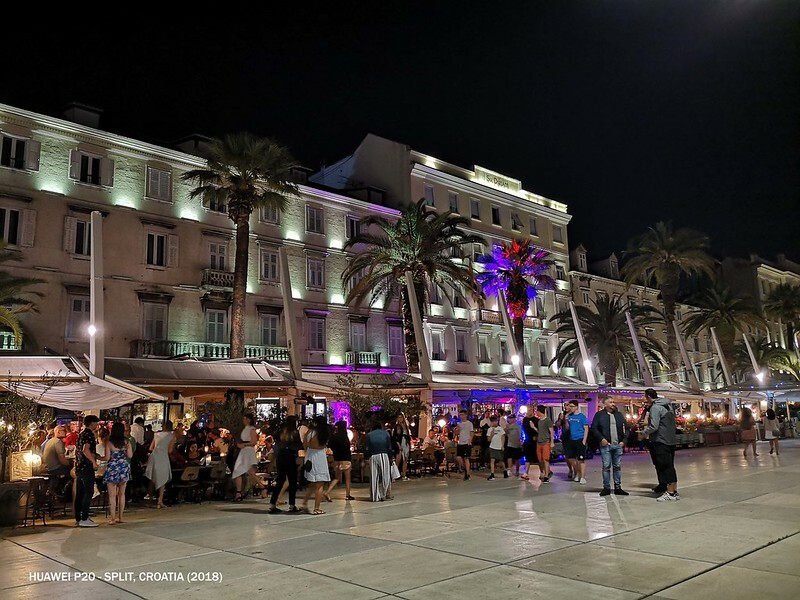 Split is well-known for a beach vacation and so, if you love hitting the beaches, then you can consider to include Bacvice Beach in your itinerary. 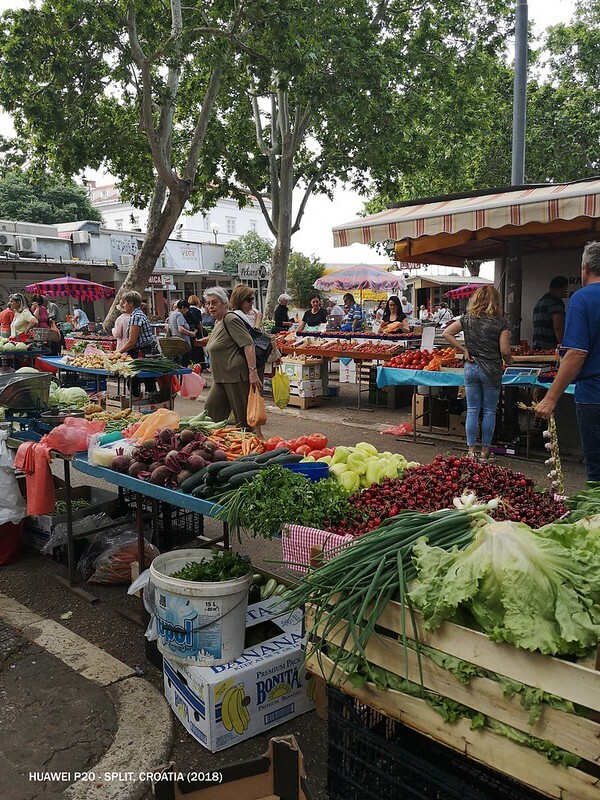 Besides that, you can even do island hopping to nearby islands such as Brac or Hvar. Unfortunately for someone who is living and staying in a city filled with numerous of islands like me, I have enough with all these and decided to skip. 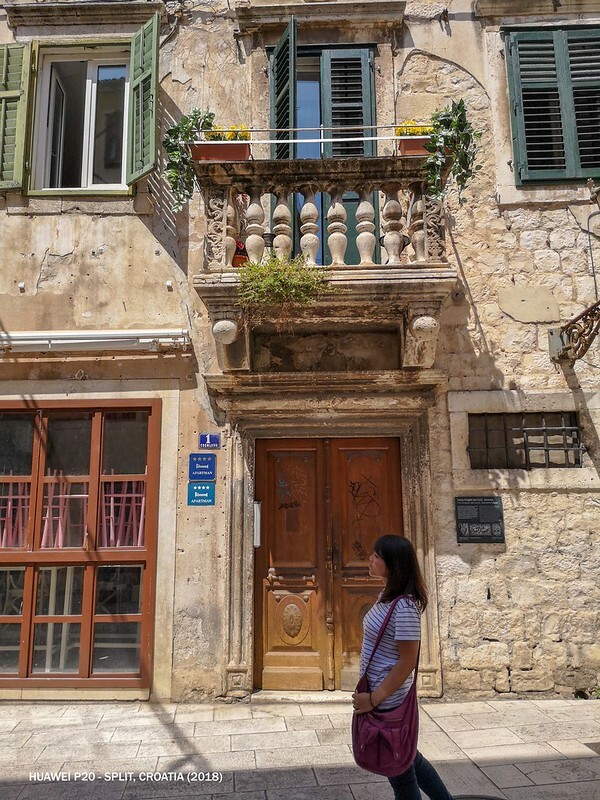 My friend and I just wandered aimlessly around the Split Old Town walking through the cobbled, narrow streets, discovering some hidden alleyways and admiring the stunning architecture of Split landmarks. 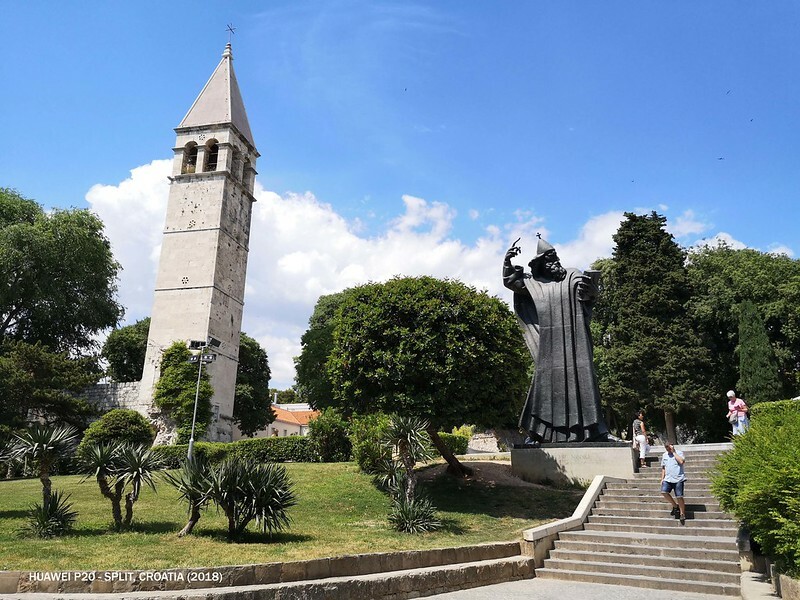 #7: Gregory of Nin statue at the North Gate of Diocletian's Palace. 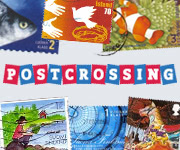 He is a medieval Croatian bishop who fought for the right to use the local Croatian language in church services. It's said that rubbing his left big tow brings good luck. 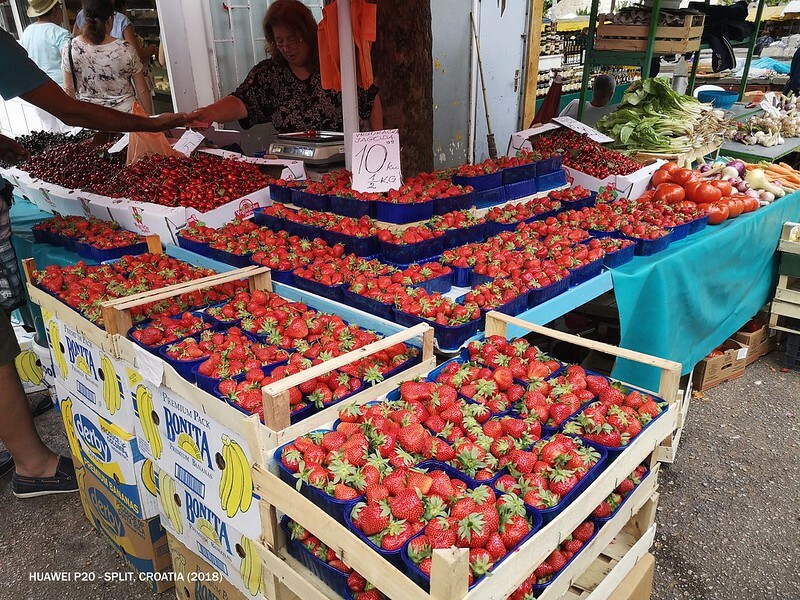 #15: We even have the time to get out from the town to have quick shopping at Mall of Split by taking local bus #18. 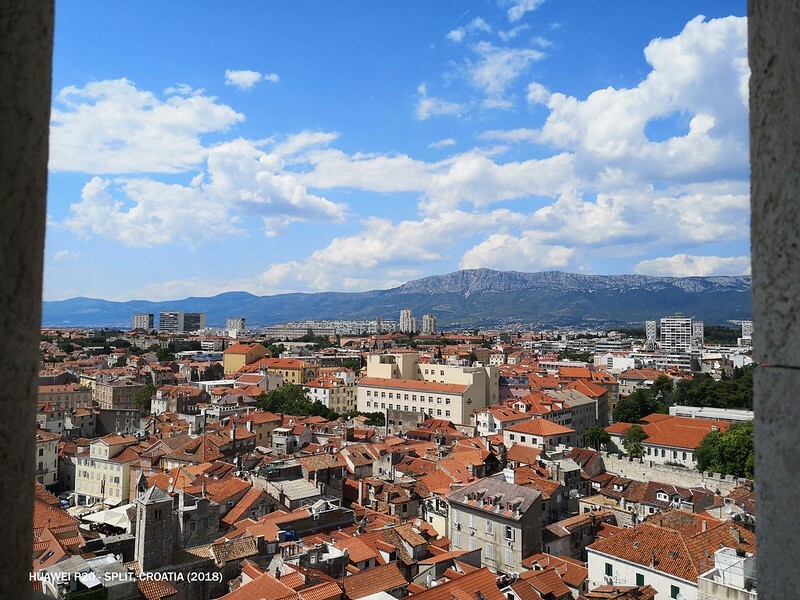 Hostels have sprouted all around Split in the couple of years. 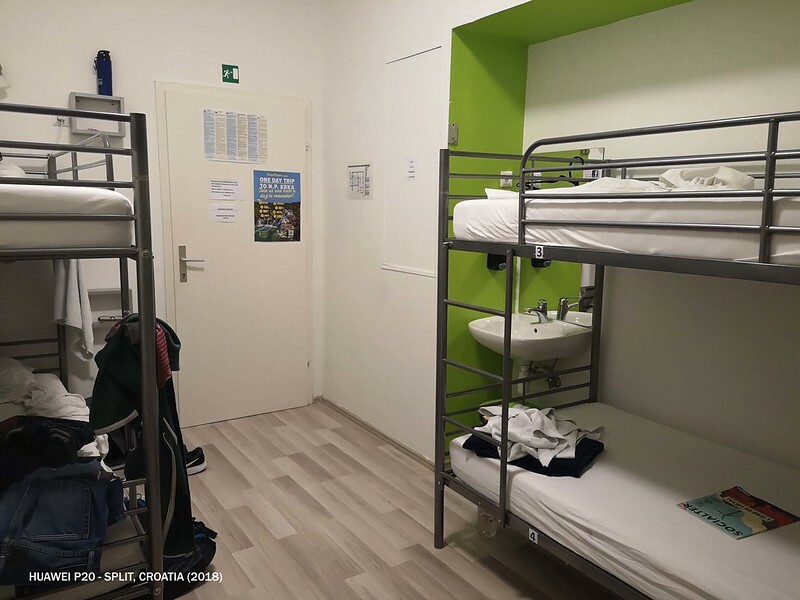 There are great collection of hostels within Split Old Town and we settled down in the one by the name of Downtown Hostel. One thing I enjoy about this hostel is that its common room has terrace overlooking the town underneath. However I doubt whether this hostel has 24-hour front desk cause there were group of guests making loud noise in the middle of the night. So inconsiderate! #17: No breakfast provided. We cooked and prepared by ourselves. Love the view from the bell tower. Croatia, hear it is a beautiful country. 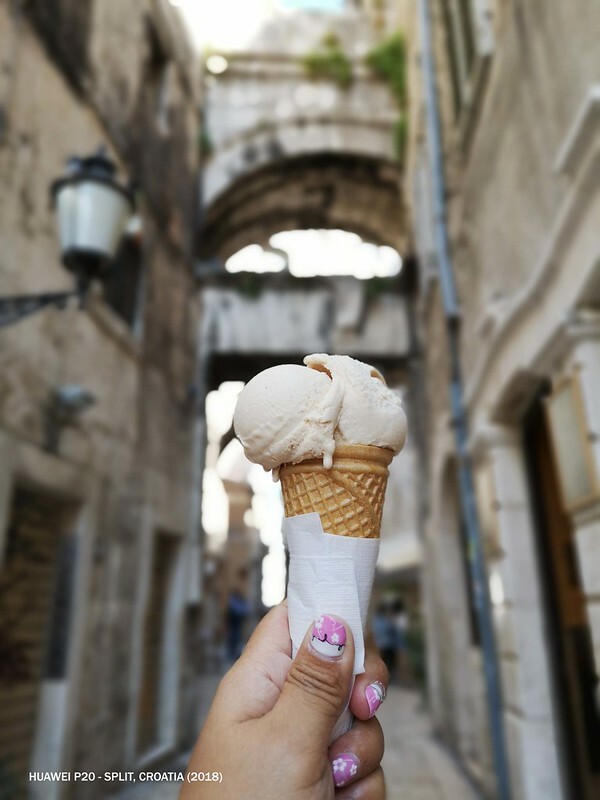 Gelato on a hot day is a welcoming sight. 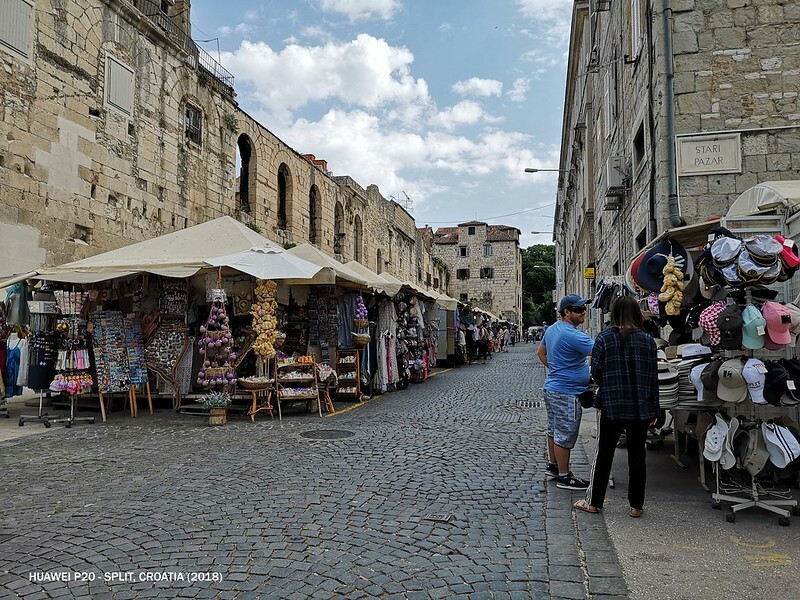 In many tourism blogs and articles, the Dubrovnik is considered to be more safer than many developed nation such as America, China etc. Native people are very polite and friendly to the outsiders and the place is much safer for woman. 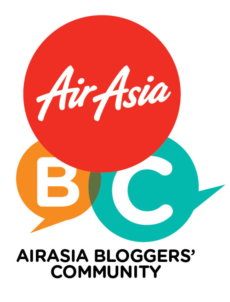 There are lots of facilities and spots to fulfil your requirement which will probably comes under the budget.